On the stand will be the VL1000 Tracked Vessel Loader, the newest addition to the Trackstack range of mobile bulk handling equipment. This highly versatile and mobile unit is capable of transferring up to 1000 tons per hour of material, and can accept material direct from large tipping trucks. The all in one unit has a 15 metre (50 feet) discharge conveyor with radial stockpile feature, and the benefits of a 7.5 metre (25 feet) stockpile height. This already proven machine adds to the comprehensive range of rail car, barge and ship loading solutions, as well as stockpiling and tracked conveyors offered by the company. Also making its debut at the show is the 1012TS impactor, with double deck pre-screen feature. This additional feature to the current 1012T, which has proved hugely successful in North America, will ensure highly efficient screening of material prior to crushing. The benefit of this is increased tonnage through the crusher and the ability to produce a screened product from the dirt belt, and is ideal for dirty or sticky material. 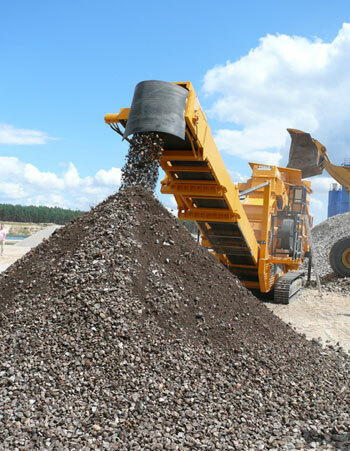 Other recent developments from Tesab are the redeveloped 623CT crusher. This 26 ton secondary crusher has been enhanced, to increase material flow through the crusher unit, pushing output capacities up to 150 ton per hour plus. It now comes with a hydraulic folding hopper design for rapid transport and setup, making it an ideal package for the current market. 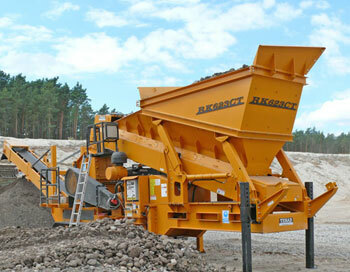 To complement the crusher range Tesab now also supply a range of tracked screening plants. The TS2600 and the TS3600, 20’ x 5’, two deck and three deck screens are now available, with a uniquely robust build, designed for quarry, mining, and recycling applications. Also available is the TS1550, 16’ x 5’, heavy duty, high capacity scalping screener designed for the heaviest primary, quarry and demolition applications.